Makes 21 servings, 2 cookie balls (52 g) each. Mix cream cheese and cookie crumbs until well blended. Shape into 42 (1-inch) balls. Refrigerate 30 min. Melt chocolate as directed on package. 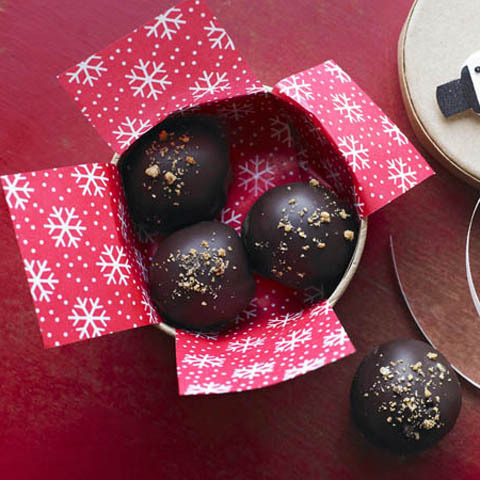 Dip balls in chocolate; place on parchment or waxed paper-covered baking sheet, allowing excess chocolate to pool at bottom of each ball. Decorate with remaining ingredients as shown in photo. How to Easily Dip Cookie BallsTo easily coat cookie balls with melted chocolate, add cookie balls, in batches, to bowl of melted chocolate. Then, use 2 forks to roll cookie balls in chocolate until evenly coated. Remove cookie balls with forks before placing cookie balls on prepared baking sheet. 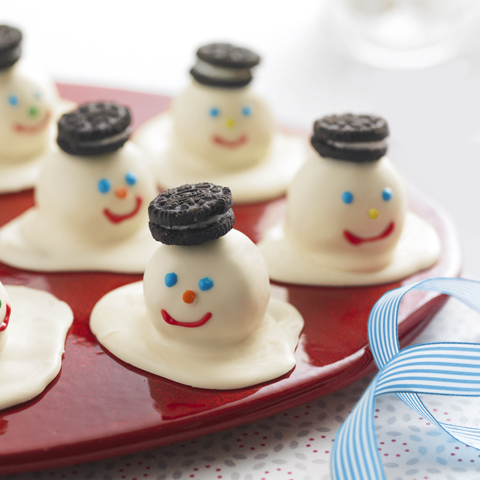 Special ExtraSprinkle cookie balls with coloured sugar or sprinkles instead of decorating with the Mini Oreo Cookies and decorating icings.